Russian President Vladimir Putin told Fox News' Chris Wallace Monday that Western efforts to isolate Russia have "failed," and he and President Trump began a "new path" today. Wallace presented Putin with the indictment brought against 12 Russian intelligence operatives for their role in the election meddling. Putin refused to touch it, and dismissed the Mueller probe as "the internal political games of the United States." Putin said he'd react "negatively" if Georgia or Ukraine became NATO members. Putin said Trump told him the U.S. position remains that Crimea is part of Ukraine, not Russia. 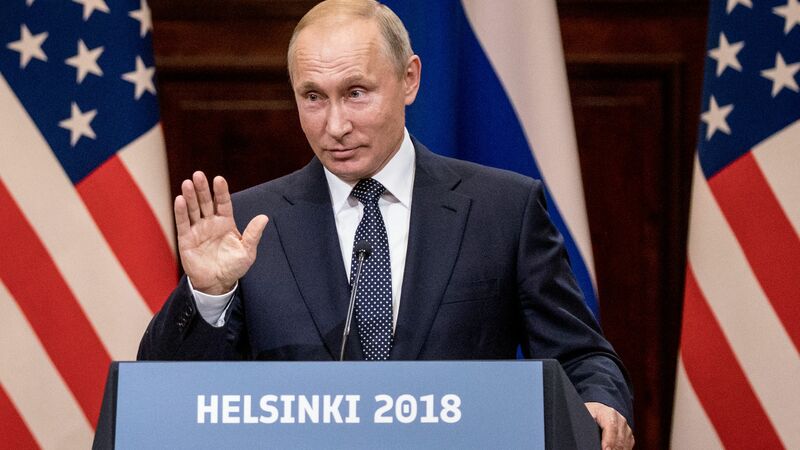 Asked why so many of his rivals end up dead or injured, Putin said, “First of all, all of us have many political rivals" before noting there had been assassinations in the U.S. as well.